PC gamers will go gaga over the HP Blackbird 002. 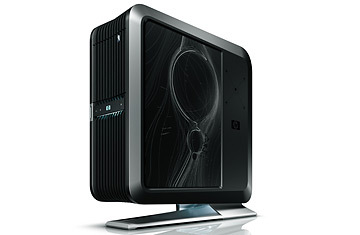 For $3,500 you get a 3.0-GHz "extreme" processor, 2 GB of RAM, a top-of-the-line graphics card and two hard drives. The aluminum chassis opens up without tools for upgrades (there's a second video card slot and five slide-out trays), and the whole system is liquid-cooled.